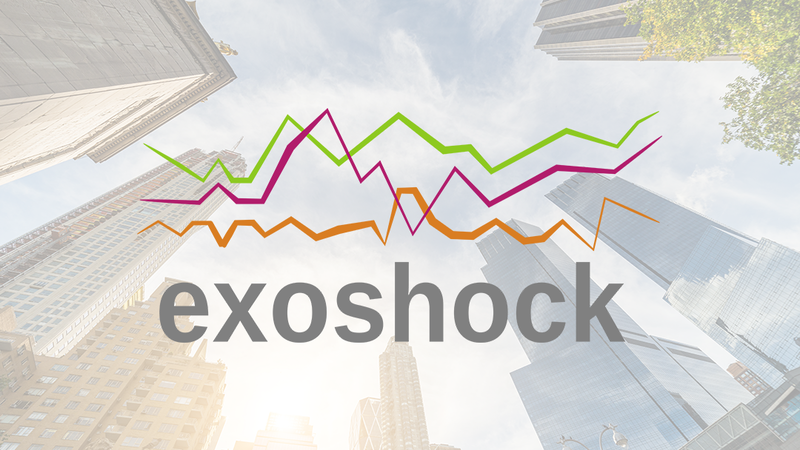 Exoshock is a consortium of business people and tech experts who have created a unique new software application for future modelling. As part of their business plan they need to pitch to potential investors. The business needs a brand image and logo that will be used to give the product and identity during the investment application process. They also need a presentation, with the brief being that it needs to be a “PowerPoint that doesn’t look like a PowerPoint”. After looking at colour trends and settling on a palette, we then designed a logo that has gone through several iterations until the partners were all happy with the final design. The lines are design to resemble the lines of a statistical graph, while also creating the feel of a seismic shock. Starting with an initial presentation that the group had created, we went through and enhanced the visuals. This involved re-drawing most of the diagrams and sourcing appropriate stock photography. We also completely overhauled the wording to make the copy easier to read and more direct in its explanation of the product and its advantages. The group now has a solid brand identity and a presentation that stands on its own and explains exactly what their product is, what it does and why it is different. The feedback we have is that they are all very pleased with this work, which will help reflect their credibility and expertise. 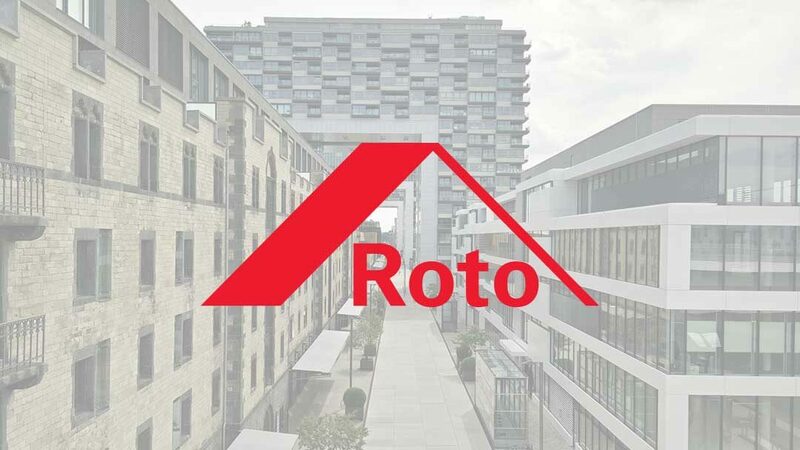 Roto is a premium brand manufacturer of window and door hardware systems, headquartered in Germany and with a sales presence on every continent. 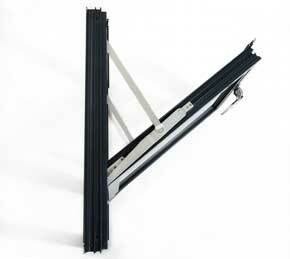 The company makes a wide range of products used on windows and doors, including locking systems, hinges, handles and other mechanisms. Known as the first mass producer of Tilt&Turn window systems, Roto has also patented hundreds of innovations over the years for use on many different types of opening. 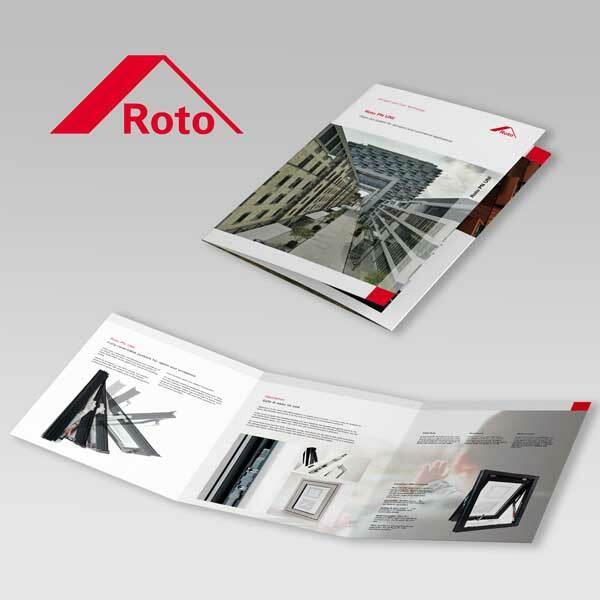 The Western Europe sales office of Roto contracted CC to design, write and produce a brochure for a specific product, the PN UNI reversible window system. This established product had entered the Roto portfolio following a strategic acquisition, and for this reason no branded Roto literature existed. We were asked to produce a six page sales brochure that would explain the benefits of the this system to the target audience of window manufacturers. As part of the preparations, we made sure to get a full brief and put forward a proposal in writing, outlining everything that was understood about the target market and the important facts and information that needed to be contained in the brochure. The brochure had to be made within corporate design guidelines, but we were free to commission photography and suggest designs. 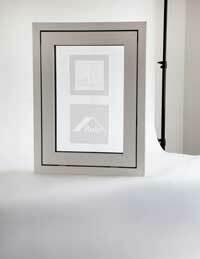 CC provided the design work, copywriting and original product photography. The client was very satisfied that the brochure met the brief in every regard, and has commissioned us to do other work since.